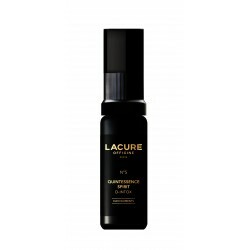 LACURE OFFICINE accompanies you with its TRI-ACTIVE SLIMMING formula to boost your weight loss as part of a dietary regime. 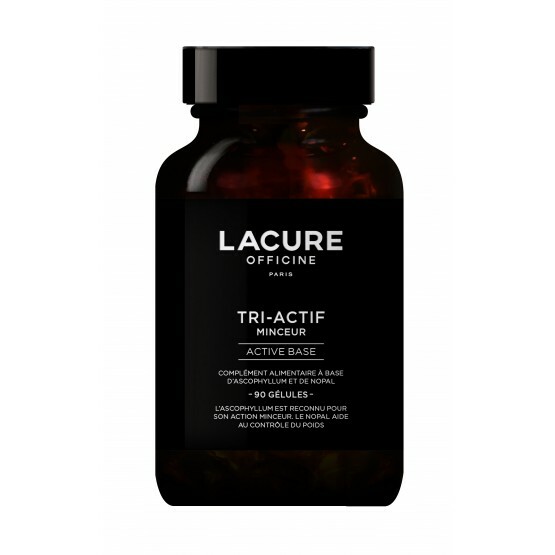 The TRI-ACTIVE SLIMMING formula combines the complementary actions of two plants with contrasting origins: one aquatic, Ascophyllum brown alga, and the other from the desert, the Nopal cactus. Ascophyllum is a brown alga known for its ability to reduce absorption of fats and thus to act directly on excess weight. From Central America, Nopal or Barbary Fig encourages slimming by absorbing fats and sugars. Nopal controls and reduces your appetite. The synergy of two complementary plants at the service of your weight loss! 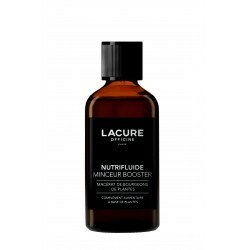 Take 1 capsule in the morning and 1 in the evening with a large glass of water. Food supplements must be used as part of a healthy lifestyle and not be used as a substitute to a varied and balanced diet. Keep the product out of the reach of young children. Do not exceed the recommended daily allowance. Use as part of a controlled calorie intake diet. Keep in a clean and dry place, away from light. Anti-caking agent: maltodextrin; dry extract of Nopal shoots (Opuntia ficus indica); capsule envelope: gelatine; dry extract of ascophyllum (Ascophyllum nodosum); anti-caking agent: magnesium stearate; chromium chloride.